In Qasigiannguit the Midnight Sun shines around the clock during summer, and in winter the Northern Lights (Aurora Borealis) dance in the night sky. Qasigiannguit means "the place with spotted seals". This city with a population of 1,200 is beautifully located in the south eastern part of Disko Bay, 200 km north of the Arctic Circle. This Arctic setting consists of a stunning mountain landscape to the east towards the ice cap, and to the west lies the mighty Disko Bay. The winter landscape is best explored by dog sled or snowmobile. 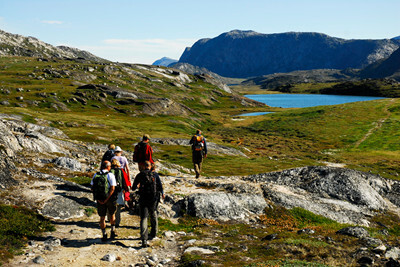 In the summer months there is hiking in the mountains and sailing in Disko Bay. The primary occupation is still hunting and fishing as it has always been. At sea, halibut, cod, crab and shrimp are caught. In the mountains towards the ice cap, there are reindeer and muskoxen. 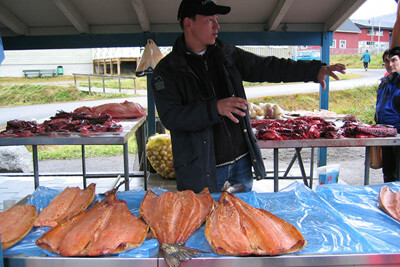 Qasigiannguit is a lively city with a primary school, secondary school, Royal Greenland fish processing factory and so on. The city was founded in 1734 when the name was ‘Christianshåb’. The population is currently approx. 1,200 people and a larger number of Greenlandic sled dogs. A holiday in Qasigiannguit gives the traveller a unique insight into today's Greenland, with authentic experiences in both culture and nature. You can travel to Qasigiannguit from both Ilulissat and Aasiaat. A very interesting local museum with exhibits about archaeology and history. The museum is housed in one of Greenland's historic wooden houses from 1734. There are possibilities for great walks to Kangerluluk / Paradis Bay, Eqalunnguit / Strømstedet, and a challenging trip to Qaqqarsuaq - the high mountain (450 m above sea level). From Qaqqarsuaq there is an unforgettable view of Ilulissat Icefjord to the north, and to the east a glimpse of the colossal ice cap. During summer humpback whales and fin whales (but also minke whales and blue whales) head north to Disko Bay, where they feed on an abundance of food consisting of squid, shrimps and more. 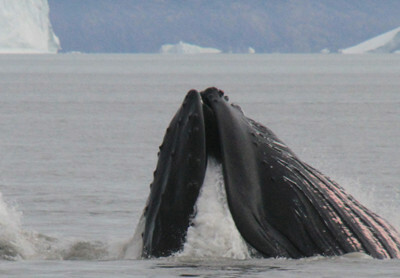 The area at Qasigiannguit is especially known for its vast presence of these giants of the sea, and it is not unusual to see them feeding or breaching. 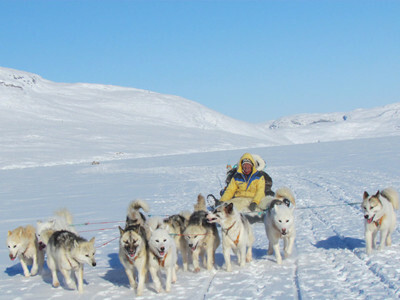 The area is ideal for dog sledding because the terrain is so varied. Here you can drive your dog team among high mountains, lakes and in the impressive fjord area Tasiusaq, where 2 glacial tongues reach the fjord. Tours are organized from a few hours to multi-day trips with accommodation in a wilderness cottage. Brættet is the place where hunters and fishermen sell their catch. It’s usually held under a simple canopy or shed protecting some benches (the brættet or board) where the catch of the day is displayed for purchase. An interesting place to visit. The island of Kitsissunnguit located south east of Disko Bay, is a true bird paradise. 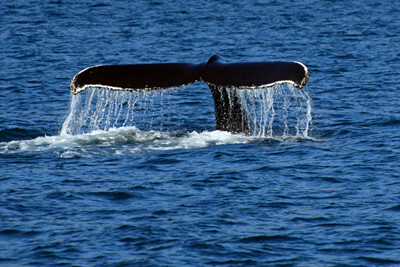 Additionally, whales and seals are often seen in the area. 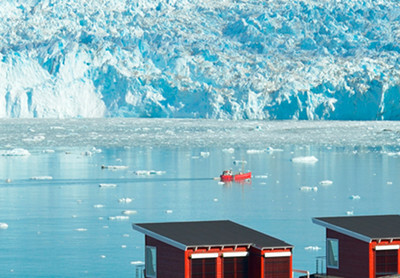 Here you will find Greenland's largest Arctic Tern colony with several thousand breeding pairs. You may also see rare species such as Grey Phalarope, Red-necked Phalarope, Rose Gull and Peregrine Falcon if you’re lucky. At Orpissoq Fjord, approx. 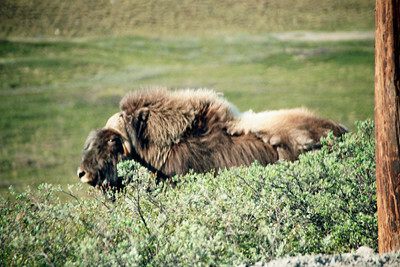 30 km south of Qasigiannguit, there are a large number of muskoxen. The area is part of the Naternaq area. The muskoxen can weigh up to 350 kg, and it is an impressive sight to see these prehistoric-looking animals in the Greenlandic mountain landscape.